Hello. 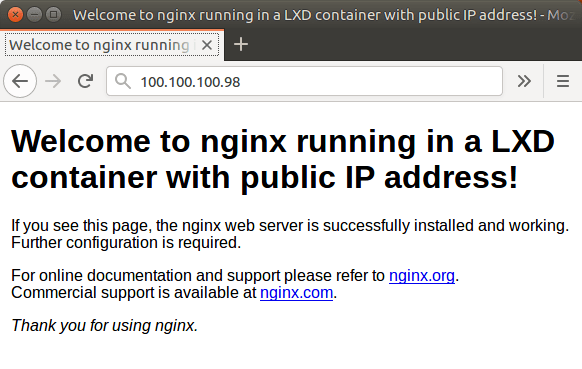 If I have ip block pointed to server on which linux containers is, how to point specific public ip adress to container that I creating by lxd rest api? You need a bridge on your network interface. If you have, LXD cannot set “public” IP address if not using it’s own bridges. You can with cloudinit or with your local network DHCP. You can create either a bridge or a macvlan and have the containers get the IP address from that IP block as Lox described.